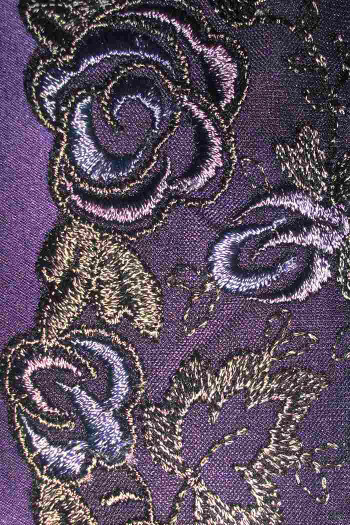 A glamorous real silk basque, made from the best quality silk in a dramatic purple shade known as Orchid, this basque has front panels of embroidered tulle (see note about pattern change below) held together with silk lacing. The fastening at the rear is by hook and eye. Each cup on this basque is soft and unlined with underwiring and decorated across the top with the embroidered tulle. Matching thong or brief available separately. Measurements form in the check out to be completed. Important Note: The tulle pattern shown in the main image is no longer available and has been replaced by a new very pretty and delicate version which you can see in the last image.